The draft Redbook for what is new in Technology Release 6 and 7, TR6 and TR7, update is just now available for download from IBM’s website. 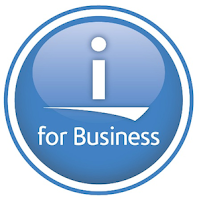 This IBM Redbooks publication introduces a technical overview of the new features, functions, and enhancements available in IBM i 7.1. It provides a summary and brief explanation of new capabilities and what changed in the operating system. This publication also describes many of the licensed programs and application development tools that are associated with IBM i. This publication includes all the enhancements that were delivered with the Technology Refresh 6 and 7 that were made available in 2013. On the page for this Redbook there is a video by Steven Will, Chief Architect of the IBM i product line, giving a four minute overview of the changes. You can see that here. If you just want to download the Red book you can do by clicking here. Before you consider printing it be warned that it is 972 pages.